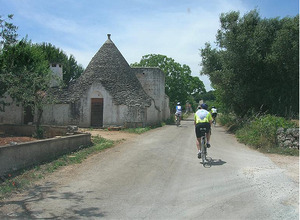 Pure Adventures is a leader and specialist in active vacations in Europe for cycling tours and hiking tours. Since its inception Pure Adventures has been a pioneer in popularizing the self-guided cycle touring travel concept with creative itineraries that feature the best of each country at the greatest possible value to you. The company will arrange your routes, accommodations, luggage transfers, and more by only using the expertise of locals for guides, route development, sites to see, people to meet, where to eat, shop and experience life as a local would. With many different itineraries lasting as few as four days or as many as 14 days ranging from easy to challenging, every traveler is sure to find a tour to fit their needs. In 2008, LRB Flagship, which owns the brands Pure Adventures, Discover France, and Cycling Classics is continuing its commitment to the environment and to conservation. We joined Sustainable Travel International (STI) in 2006 and starting purchasing the carbon offsets to make tours carbon neutral for all tours in 2007. We are continuing again in 2008. Some may ask, "What does this mean, exactly?" A host of other wind projects located in the USA are also recipients; for a full list and details, please visit the STI website on this link. What else does LRB Flagship do to minimize environmental impact? 1. We eliminated brochures in 2003; all of our tour listings and details are online, among these pages, and we make every effort to be available quickly by email and phone to answer questions so as to make brochures unnecessary for booking a trip. 2. Our travel documentation is sent electronically cutting down on huge amounts of paper and shipping. 3. Our tours are mostly self-guided which means that support vehicles are not in service most of the time. 4. In the host country, we do our best to work with suppliers and properties that also adhere to ecological, low impact ways of doing business. It certainly isn't always available, but where it is, we try to reward those businesses with your patronage. 5. Our staff and owners do their part to live lightly and conserve. We are not eco-warriors, just concerned citizens of the planet doing what we can to rethink how we get things done. We believe that a little contribution by everyone will make a big impact and doing so doesn't require an unreasonable sacrifice. We are putting money behind our convictions. Certainly, carbon contributions from a cycling and hiking tour are very small by comparison to other forms of travel. Nonetheless, we are pledging $9000US worth of offsets to make our trips carbon neutral, and we don't see this as negligible and something to be considered when comparing our tours to the competition. Same as above; impact is very low by virtue of the self-guided cycling and hiking tour concept. Vehicle support is not included and not necessary. Our destinations occur in Europe in developed areas where culture is westernized and very similar to that of most of our clients. Cycling and hiking routes travel over developed trails and roads and never on undevelopped overland routes. Our customers travel to rural areas and their purchases and stays help to sustain these small communities and hopefully enhance the hiking or cycling access with added investment. Our tours have no known negative economic impact unless a customer were to cause an accident. We believe our tours are 100% positive for all the regions we visit. Doing away with print brochures in 2003. One of the early adaptors of the net as a resource for travelers. Providing an interactive website where prospect travelers can get all the info they need to make a decision and not requiring unnecessary resources. Our tour formula is also very innovative and growing - it is a formula that minimizes adverse environmental impacts, more than other group, guided tour companies in the same activities. Is Pure Adventures your company? Register to get access. You can get access to the Trips listed on TravelDragon, allowing you to add/edit your products. Register to get access if you'd like to add or edit Trips for Pure Adventures.